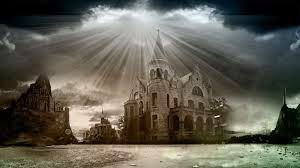 What is it that makes a kingdom? What is it that makes people think, "I'm gonna follow them and do what they say." What gives someone that control and that power? I love my fantasy. 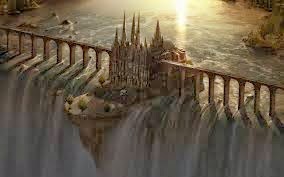 Fantasy kingdoms and worlds are where I live when I'm not at home. So, naturally I put a decent amount of thought into their inner workings. I think, one of the key factors in a liveable kingdom is a believable monarchy. What makes a believable monarchy? I always think of my favourites first. Not always strictly speaking about literal 'monarchies' and 'kingdoms' but the same kind of thing in whichever story. First off, I always think of Voldemort. While he was not 'ruler', he was definitely a leader. How did he build his group? Was it just his charisma and prowess? Did he get lucky? How did the Dark Lord rise in power? How did he maintain it? Why did no other Death Eater gain control when he was gone? Even though I have a few questions, I believe it. 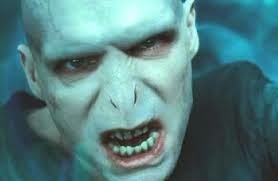 It makes sense that Voldemort was the only one who could have done it. Next, I think of a different sort of authority. Aslan. He is the Christ-like figure, which maintains his power through the belief and devotion of his followers. The opposition, comes from those who don't believe that he exists at all. Not that they do not believe in his policies, but that they don't believe in his existence and therefore that he can not carry them out. 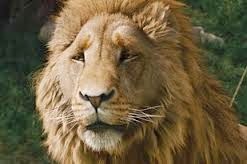 Yet, Aslan, is the definite leader of Narnia. The kings, princes, queens and anyone else, are only just standing in on his behalf. So, is it divine power or is it, the power given by the people that creates a ruler? Which is the authority that readers crave? I personally think that it is partially both. Dependant on the fantastical society in which the 'kingdom' resides. A ruler with divine authority will ideally have the citizens devotion, but if they disagree with the choice of monarchy, if there is discontent in the kingdom then will divine consent be enough? for everybody? For a ruler to be powerful, for a ruler to be great, then they must also have the loyalty of the people.